Portland & Vancouver garage door repair, sales, and service for over 25 years. We offer free in-home garage door estimates and 24/7 on-call emergency service. Call us for any residential, commercial or industrial garage door repairs and installations. 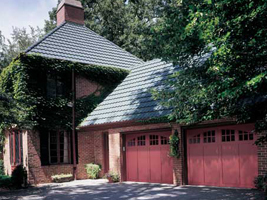 Want a new garage door, but not sure what style door you are looking for? Would you like to explore your options? Call us today and come in to check out our showroom! At Genie Overhead Doors, we stay in touch with changes in our industry, offering you the most current information and services. Give us a call today and allow us to answer any questions you may have. We look forward to serving your garage door repair needs, helping you choose a new garage door, schedule your overhead door maintenance, or buy new garage door opener parts and accessories. 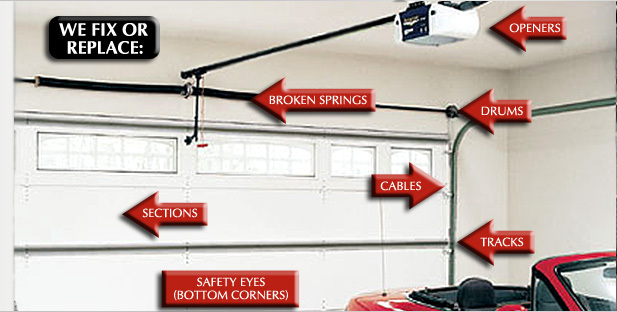 We are proud to offer Garage Doors and Genie Openers. Portland, Vancouver, Gresham, Beaverton, Hillsboro, Lake Oswego, Camas, Washougal, Battle Ground, Boring, Sandy, Damascus, Clackamas, Oregon City, Milwaukie, West Linn, Tigard, Tualatin, King City, Happy Valley, La Center, Woodland, Troutdale, Wood Village, Northeast Portland, North Portland, Northwest Portland, Southwest Portland, Southeast Portland, Northwest Oregon, and Southwest Washington.